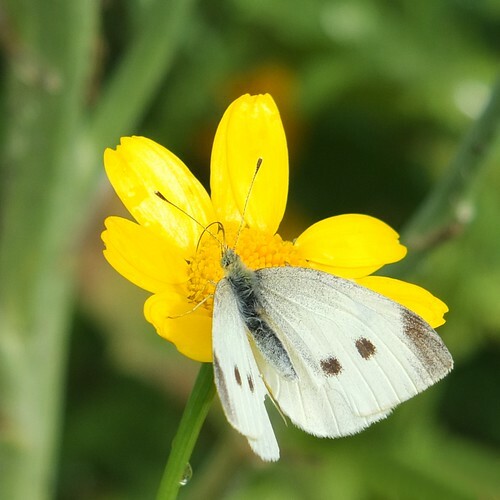 White Butterfly on Paris Daisy_0002.jpg, a photo by Patricia Manhire on Flickr. This is the first time I have managed to capture a butterfly. The weather has cooled considerably and the butterflies were slow and lethargic which helped a lot.